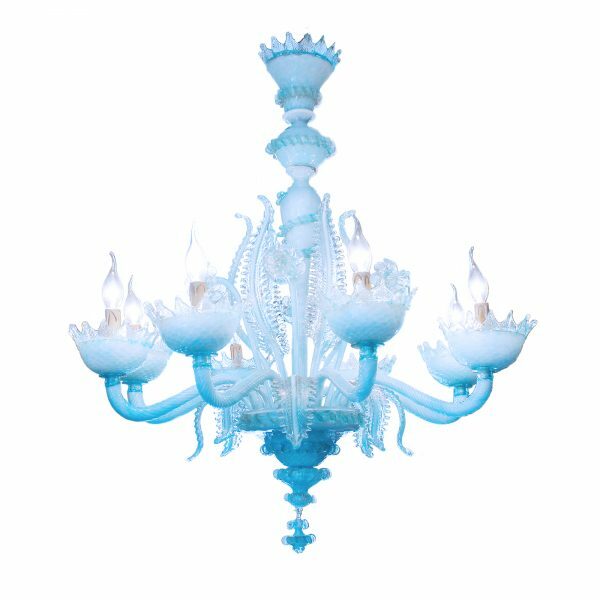 The Venetian chandeliers in our collection are either antique or vintage. 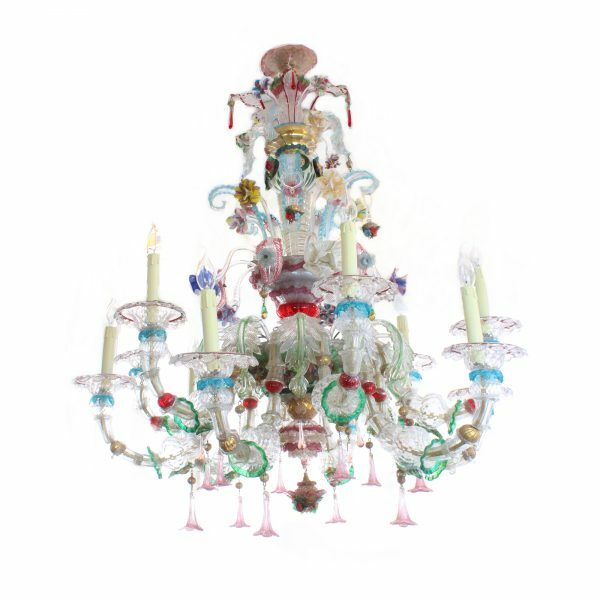 It is very difficult to find antique Murano glass chandeliers in mint condition. 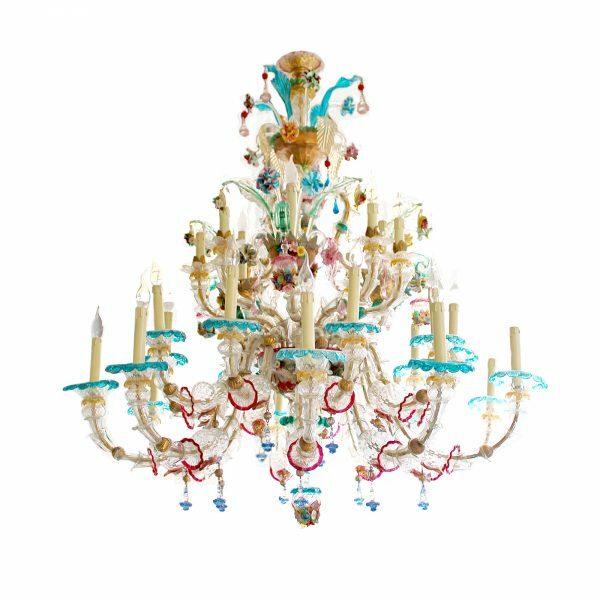 We work together with our Italian dealers to find the best old chandeliers around. We are specialised in mounting and dismounting these precious objects. Start shopping for your chandelier now! 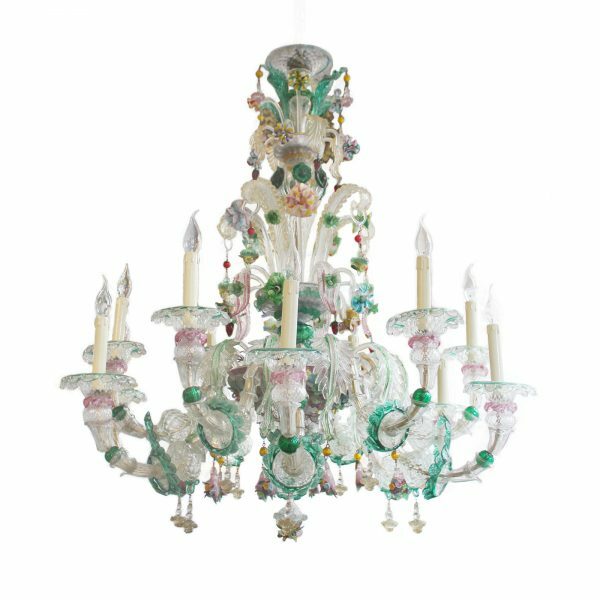 Venetian Murano chandeliers are widely appreciated as one of the most beautiful and decorative types of chandeliers and glass art. 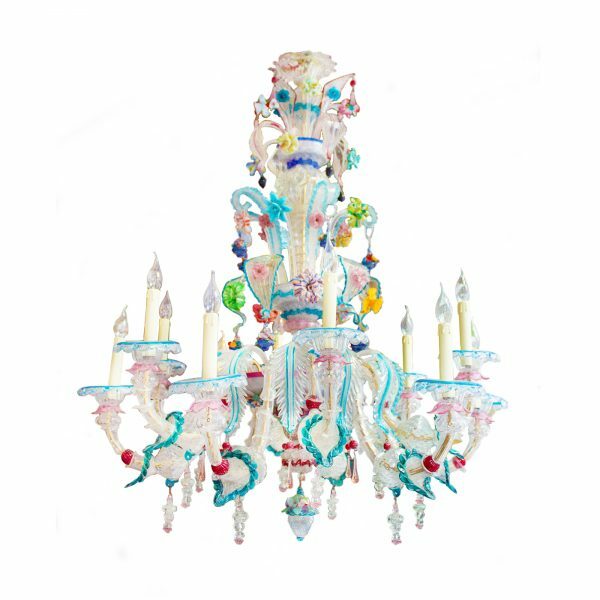 Murano glass chandeliers have a unique history that is intertwined with their location. 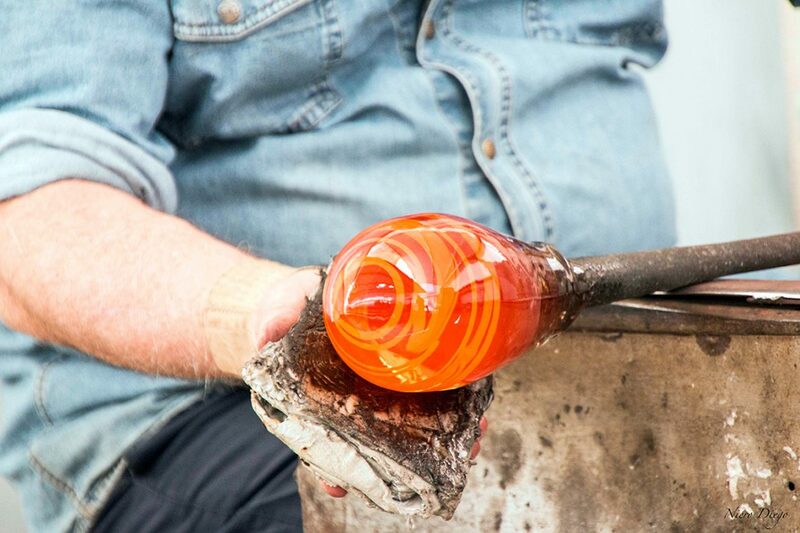 They stem from Venice, Italy, where glass blowing was practiced as early as the 14th century. Today still, these chandeliers continue to be produced in the city of Venice only. 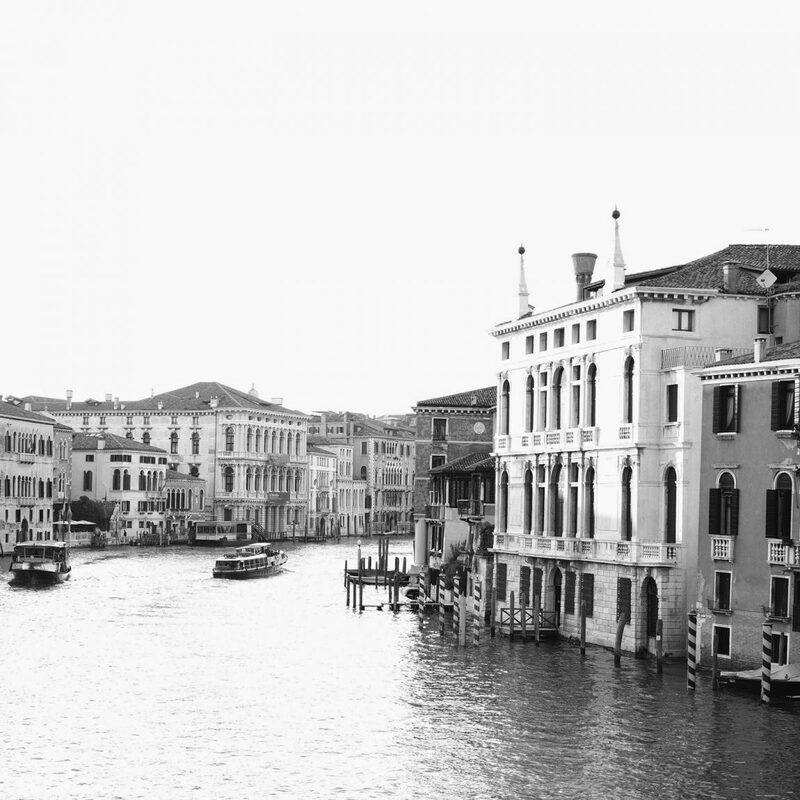 In the 14th century, glassblowers were among Venice’s most affluent families. However, they were not to leave the city as exportation of the professional secrets was punished by death. By the end of the 16th century, three thousand of the island’s seven thousand inhabitants were in some way involved in the glassmaking industry. 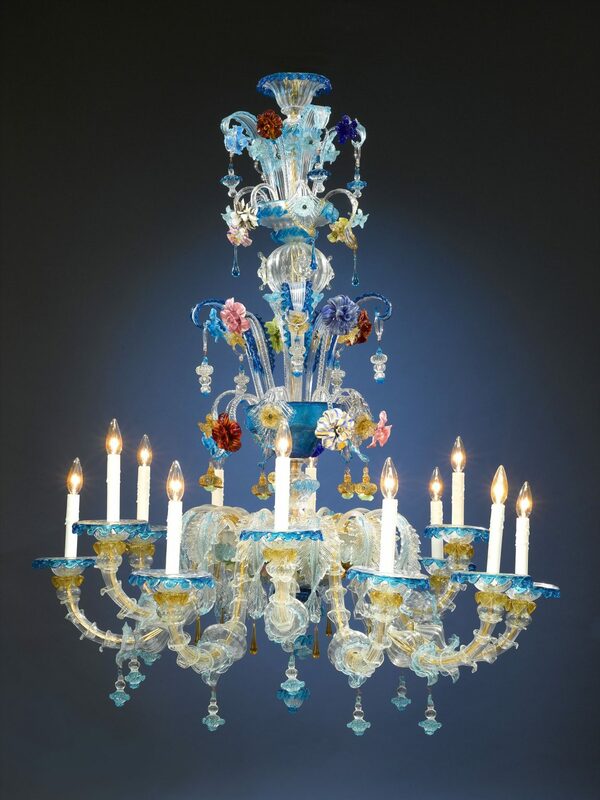 In the 18th century Murano glassblowers started to introduce new products such as glass mirrors and chandeliers. The chandeliers were such a success that they instantly brought the fashion of glass chandeliers to a new dimension - which is still felt today. 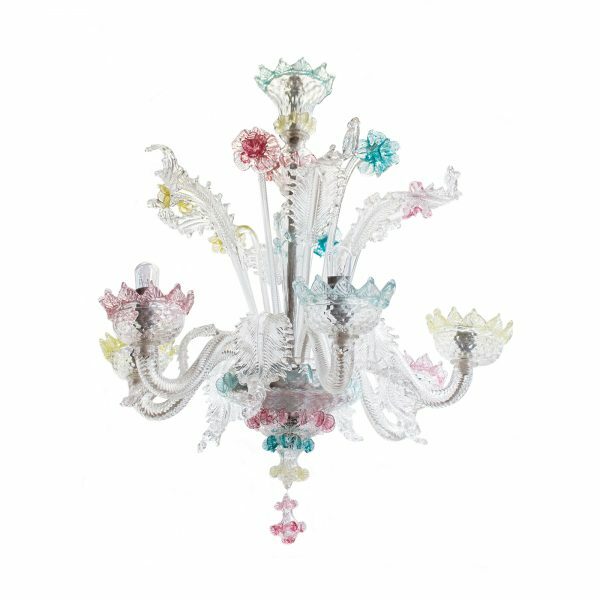 The first Murano glass chandeliers produced by Venetian glassmakers date back around the year 1700. 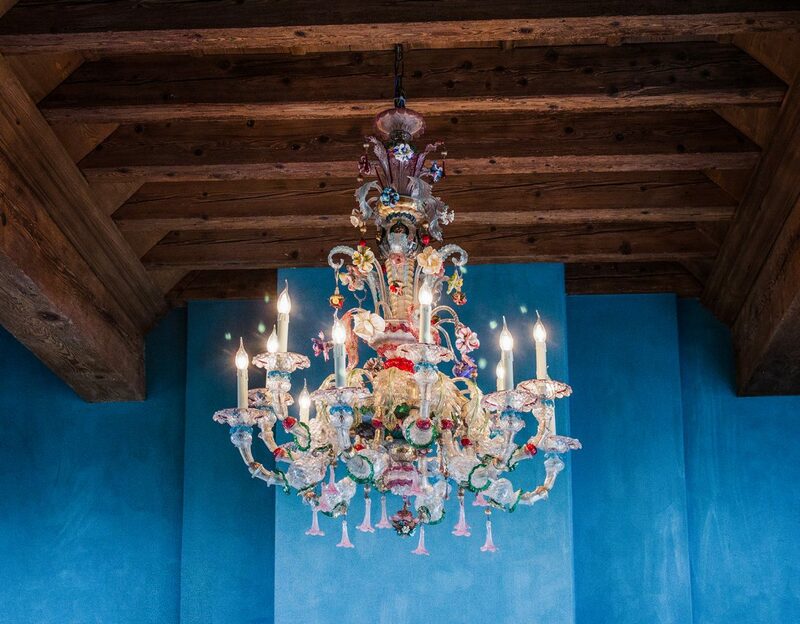 This new type of chandelier was called “ciocca”, which translates literally to "bouquet of flowers". Their shape was inspired by an original architectural concept: the inside space is left almost empty. Decorations are spread around the central support, distanced by the length of the arms. One of the common use of the huge Murano chandeliers was as interior lighting of theatres and palaces. Giuseppe Briati was one of the most famous producer of chandeliers. In 1724, he created what became known as the Rezzonico Chandelier, the first chandelier of its kind. It was designed for the noble Venetian family Rezzonico and hung in their palace along the Grand Canal, now the famous Venetian museum “Ca’ Rezzonico”. With its multiple arms decorated with garlands, flowers and leaves, the Rezzonico Chandelier became the standard for what is now recognised as the classic Murano chandelier. Venetian chandeliers are completely made by hand. Every glass ornament has to be masterly executed, as mounting the chandelier is asks for a precision that comes down to the millimetre. Any pieces that are lacking in size or shape will not fit when mounted between the others. Murano glass is made of 70% silica sand, to which 30% of other substances called “fluxes” (soda) and “stabilizers” (lime) are added. The Murano glass is colourless in its basic composition. The colours are obtained by adding small amounts of minerals, oxides, and chemical derivatives to the base composition of the glass powder. Colours, techniques, and materials vary depending upon the look a glassmaker is trying to achieve. For instance, aquamarine is created through the use of copper and cobalt compounds, whereas ruby red uses a gold solution as colouring agent. 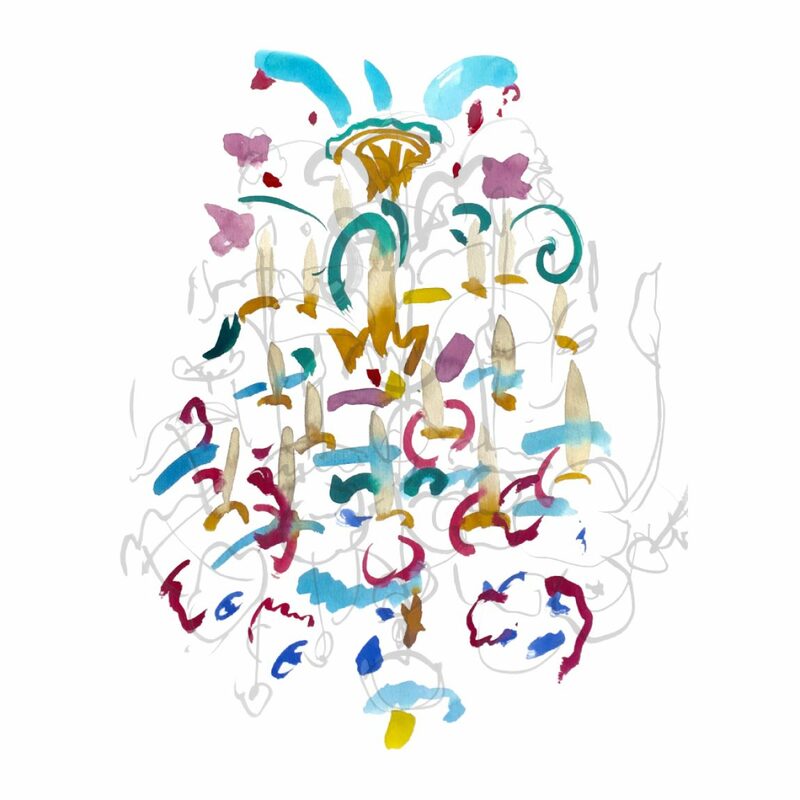 This is the formula to the Murano magic with its infinite combinations of transparent colours, crayons and alabasters.